We’ve previously covered UDOO Bolt AMD Ryzen Embedded V1000 development board that’s offered for $229 and up on Kickstarter, and targets the maker community. 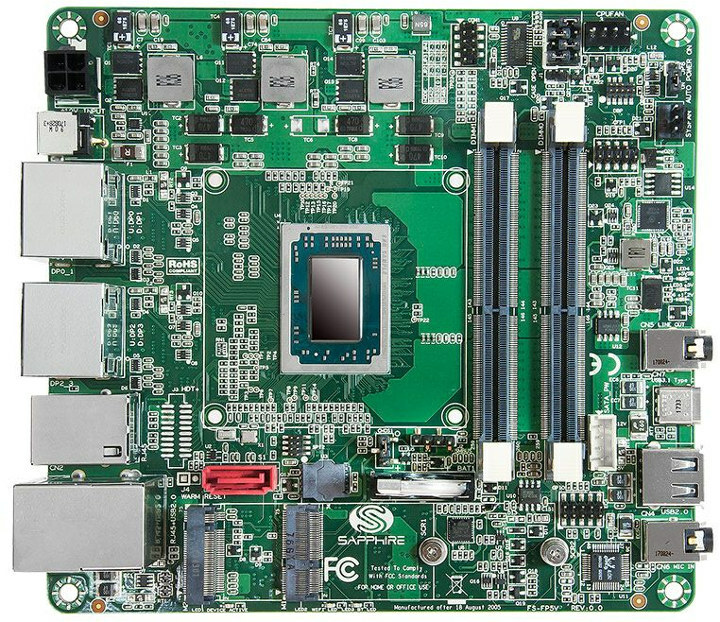 Another board with Ryzen Embedded processor is SAPPHIRE FS-FP5V 5″ board with support for up to four independent displays, and suitable solution for digital signage, POS terminal, electronic gaming machines, medical imaging, thin clients, and so on. Video Output – 4x Dual-mode DisplayPort 1.4 (DP++) outputs also supporting HDMI or DVI ports. 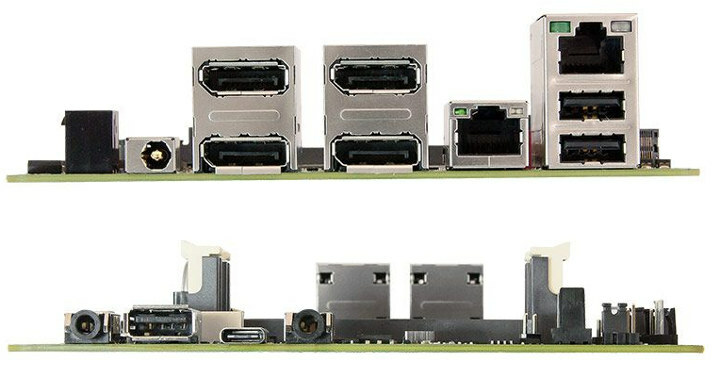 If like me, you are not quite familiar with all DisplayPort features, dual mode DisplayPort (DP++) means simple passive adapters can be used to connect HDMI or DVI displays. Dual mode is an optional features of DisplayPort, so if it is not mentioned, better assumed it is not supported. AMD Ryzen Embedded V1000 processors’ TDP is quite higher than the other processors I normally cover on this blog, so cooling will have to be taken care of, especially for fanless systems. If those prices are a bit to high, and you’d prefer a lower cost and/or lower power solution, but are still interested in going with AMD, Sapphire also sells LX-210 motherboard launched last year for less than $100 with AMD G-series LX210 dual core processor. Steep price given it’s not a workstatio nor server grade board, i.e no ECC/BMC etc. It supports both ECC and non-ECC memory. At least that the way I understand the specifications. Very refreshing to see ECC RAM support in embedded board. Nice!